The Kansas State Wildcats placed a school record 15 nominees for major college football awards, breaking the mark of the 1998 team. The nominations ended with Collin Klein being named to the Manning Award Watch List, which honors college footballs best quarterback. Linebacker Arthur Brown led the way for the Wildcats with five nominations. He was nominated for the Bednarik, Butkus, Walter Camp, Lombardi, and Nagurski Awards. Cornerback Nigel Malone had four nominations. He was nominated for the Bednarik, Walter Camp, Nagurski, and Thorpe Awards. Quarterback Collin Klein had three nominations, those were for the Manning, Maxwell, and O’Brien awards. 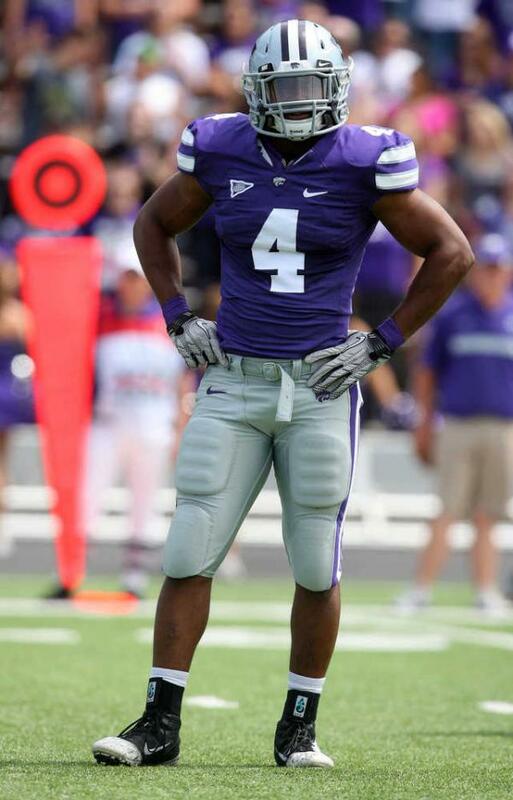 Tyler Lockett, B.J. Finney, and John Hubert all had one nomination each. They were nominated for the Walter Camp, Rimington, and Doak Walker Awards, respectively. Overall, this shows that Kansas State’s talent level this year isn’t as low as many media members suspect. Put this into perspective, this team has 15 nominees. The 1998 team, which was at one point late in the season the number one team in the country, only had 11. This team has a lot of talent and is destined for a very special season. Oh, and yes this is on a predicted sixth place team. This entry was posted in Football, Football, Home, Midwest, National, Uncategorized and tagged Arthur Brown, Bill Snyder, Collin Klien, Kansas State Football.